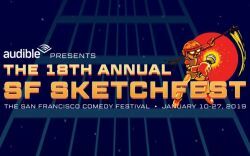 The city’s greatest comedy festival, with a variety of sketch and improv, film and television tributes and reunions, solo performers, podcasts and stand-up comedy performers. See the greatest names live and in person! Events taking place at Marines' Memorial Theatre are listed here.